I am currently at market and all this shopping is taking it out of me. Sounds like an easy job, but 7am-7pm on your feet going from meeting to meeting in heels and bags full of brochures, orders, snacks, etc. can really have you beat. To prepare myself for the early mornings during market, I like to do a little in room facial rejuvenation treatment. All of these products are only about $69 at Lush and boy are they worth every penny! I love this all natural face wash. 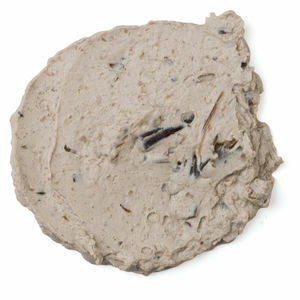 It is very creamy and the solid to paste consistency when water is added makes it feel so wonderful on your skin! After using it once I could tell that it was pulling up the dirt as I had a feel spots come to the surface. I have used it 3 nights now and my face looks so clear and clean! Description: For heavenly soft and perfectly balanced skin, take a bit of Angels on Bare Skin, mix with a little water and massage all over your face and body. 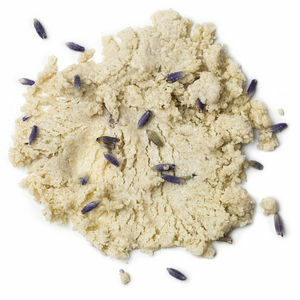 The kaolin clay base deep-cleanses while finely ground almonds and lavender flowers gently exfoliate away dry skin. We add lavender oil to soothe and balance, and rose absolute to calm redness. If it’s smooth, radiant skin you’re after, this is the cleanser for you! The name of this product does not lie! My skin felt like soft velvet after rubbing this bar on my face. the warmth of your skin will warm the bar up into a light creamy liquid that soaks into your skin for instant baby softness. I used this product right before my mask to promote saturation of the beneficial ingredients a little deeper into my skin. After rinsing my mask, I reapplied to a clean bare palette. Description: Preservative-free moisturizing bar. Lush’s solid moisturizing serum is packed full of hydrating tropical butters, calming chamomile and antioxidant mushroom extract to keep your skin in fantastic condition, all year round. Easily absorbed by the skin, Full of Grace creates a soothing treatment for the face. This preservative-free bar is a staple product; it’s the kind of treatment you should give your skin to maintain its elasticity, moisture and glow. It works….and even better, it is edible and delicious! Description: Mint-chocolate pout polish. 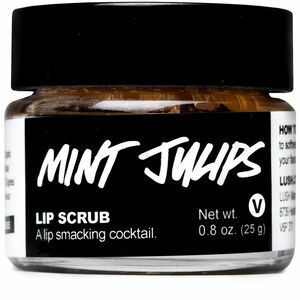 Just like the scrumptious cocktail served in hot southern summers, Mint Julips is packed full of fresh peppermint and sweet castor sugar. Peppermint is responsible for that ‘tingly feeling’ you get after brushing your teeth or using lip balm. It makes Mint Julips tastes like a big, creamy bowl of mint chocolate chip ice cream. I love this mask because it is light enough to do a few times a week AND it is fresh! That means it must be refrigerated to keep the ingredients potent and unexpired. 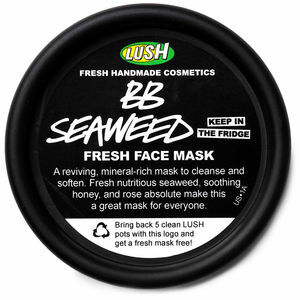 Description: Soothing, smoothing seaweed mask. Created especially to care for sensitive skin, BB Seaweed is a best-seller for its soothing, smoothing effects. No surprises here, it’s packed with none other than the ocean greenery itself! Seven pounds of it in each batch, in fact. This locally-harvested, nutrient-rich seaweed nourishes the skin, while finely ground almonds ever-so-gently exfoliate leaving skin perfectly smooth. Lush uses a generous help of aloe vera gel and rose absolute to calm and soothe sensitive spots, and a gorgeous combination of honey and olive oil to moisturize. This one is in intense exfoliating treatment. I wouldn’t do it more than once or twice a week. I love this for hormonal bumps. I get little bumps on my jaw line from excess oil hardening in the skin due to hormonal secretion of sebum. 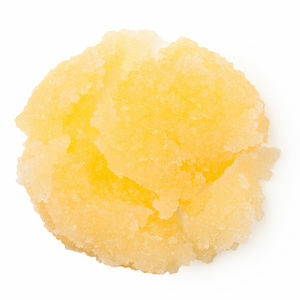 This scrub brings any oil and dirt to the surface and promotes a smooth complexion. 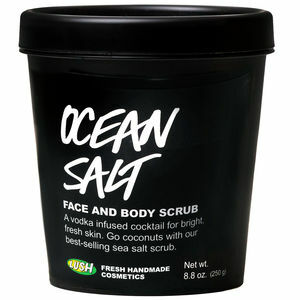 Description: Coconut cream and sea salt scrub. 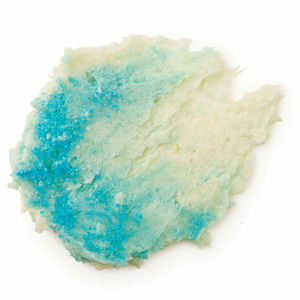 Washing with Ocean Salt is like taking your face on a trip to the seaside for an invigorating splash in the water. The minerals in sea salt soften as it scrubs away dirt, dead skin and blockages for a bright, fresh face. Lush mixes in fresh avocado and coconut to hydrate thirsty skin, leaving it balanced and soft. The cleansing effects of lime and vodka are ideal for blocked pores, blackheads or blemishes and leave skin visibly brightened. It’s no wonder Ocean Salt is so enormously popular!